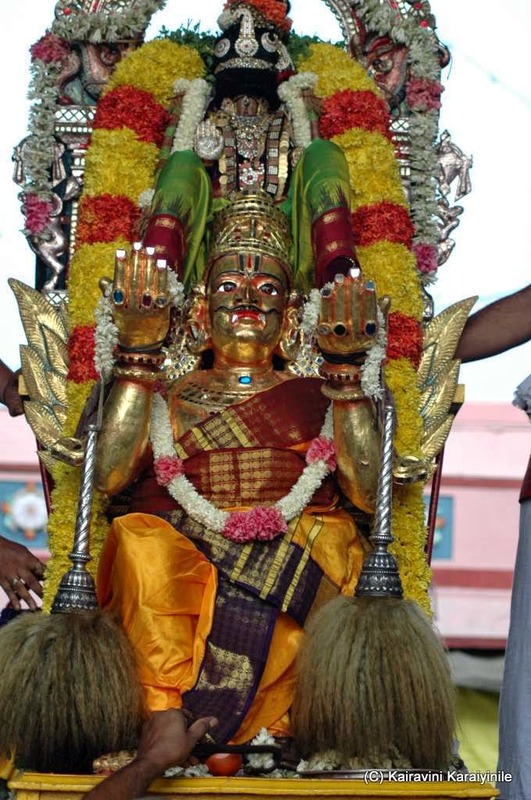 Yesterday I have posted in detail about ‘Pallava Uthsavam’ . Pallavam is a period – it is the period when tender shoots spring up. During Pallava Uthsavam, ‘Brindaranya Sthala mahimai’ is read before Sri Ranganathar at Thiruvaimozhi mandapam inside Sri Parthasarathi Swami Temple. After this there is periya maada veethi purappadu everyday. 13th April 2014 is significant as today is ‘Panguni Uthiram’. In Srirangam, it is famous for ‘Serthi sevai’. At Thiruvallikkeni divyadesam, on the day of Panguni Uthiram, divine wedding of Sri Vedavalli Thayar and Sriman Ranganathar is performed. 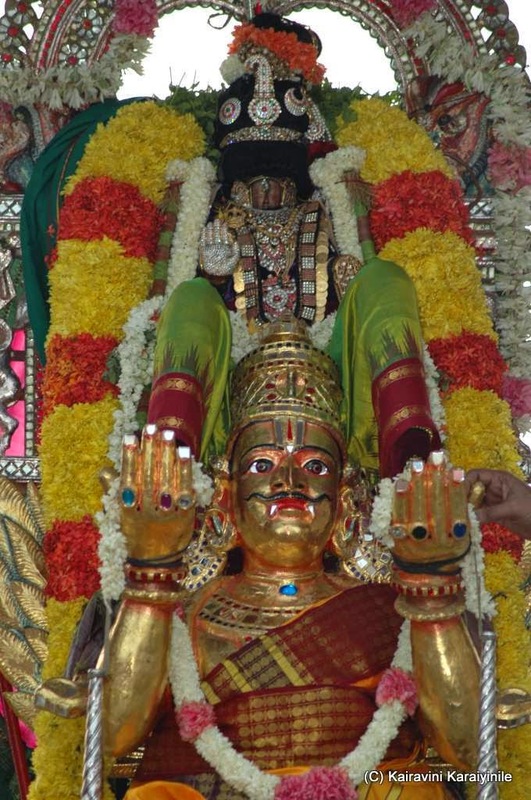 Pallava Uthsavam concludes with Sri Ranganathar astride ‘kannadi Garudan’. This Garuda Sevai purappadu will be in the evening ~ while all other Garuda Sevai purappadus are in the morning. 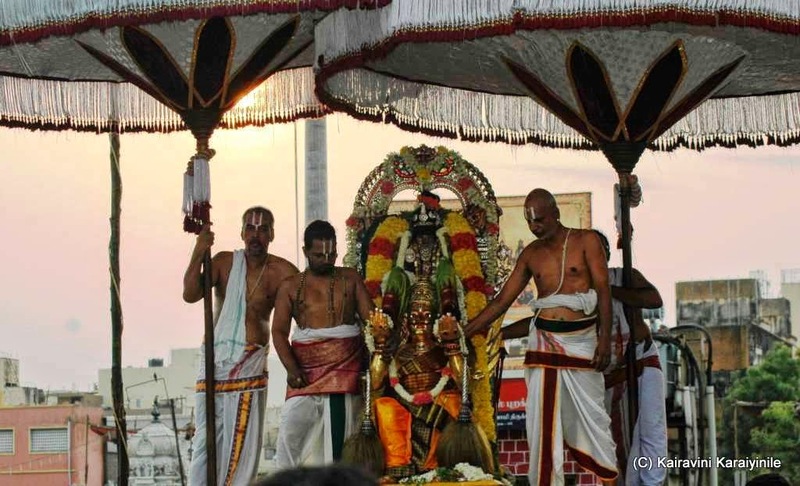 From 15th, Sri Parthasarathi brahmothsvam starts and today it will be ‘Selvar purappadu’ inside the temple in Pushpa Pallakku and hence the Kannadi Garudan purappadu took place in the morning. 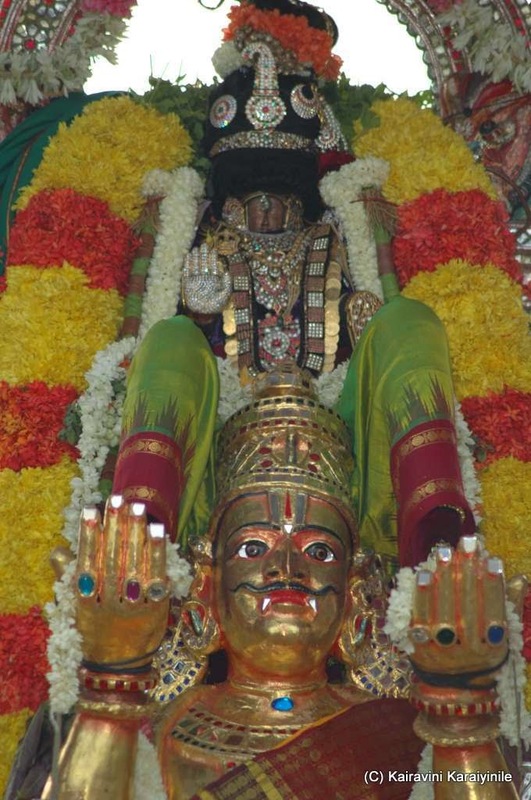 Hundreds of devotees had darshan of Sri Ranganathar in Garuda vahanam – known as Kannadi Garudan as this ornamental Garuda vahanam has decorative glass all over.